The rooms offered by us are warm and cosy, and you will find there everything you need to spend a comfortable night. Each of the rooms comes with a separate, private bathroom equipped with a shower, a wash basin and a toilet. 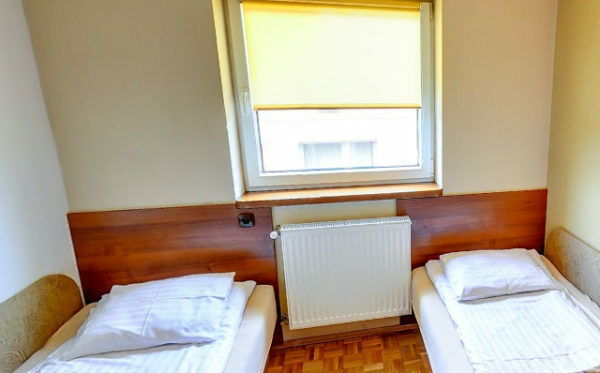 All of them are furnished with comfortable beds – double (marital) or single ones. The rooms are also provided with LCD TV sets, so that you can watch your favourite programmes before going to bed. Also Wi-Fi is available. The price of the accommodation includes already the fee for parking on a monitored site. After a peaceful night, we encourage you to eat breakfast which is served from 7 a.m. to 10 a.m. every day. There is also a possibility of serving the meals in the rooms. 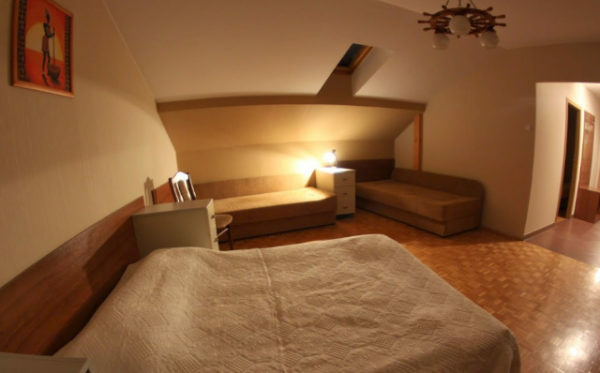 Our rooms are just perfect for those who would like to spend a night near Krakow in pleasant conditions and in good price. If you are interested in booking our rooms, we encourage you – call us!